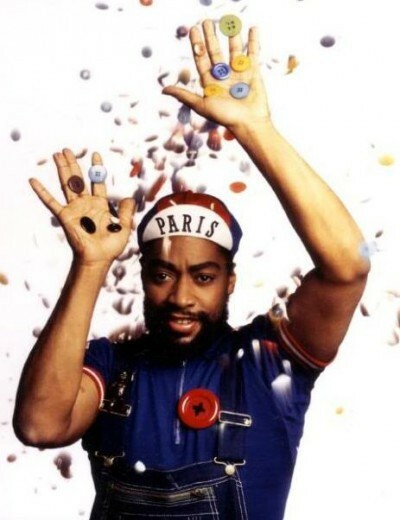 Patrick Kelly was born in Vicksburg, Mississippi, USA. He attended Jackson State University where he studied art history. He worked with a tailor in Atlanta, Georgia, USA, before moving to New York in 1976 to study at Parsons School of Design. In 1979, he went to Paris and began his career in the fashion business by designing and selling cut-out cotton tube dresses, on the pavements of the city. He soon has a large following for his whimsical clothes. He also did a stint at a Rive Gauche boutique and designed for Benetton. 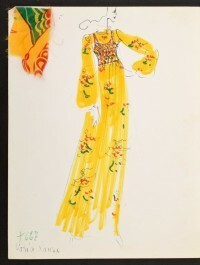 Kelly also became a costume designer for Le Palais nightclub. Huge buttons, abbreviated hemlines and a talent for tromp l'oeil, marked him as a natural New Yorker in Paris. His colourful clothes were a product of his Mississippi childhood and his long-held fascination with antique clothes. He so impressed his French compatriots that he became the first American designer to be elected to the Chambre Syndicale de la Couture Parisienne. Patrick was very unusual in many ways. He was certainly one of the first openly gay black fashion designers. Kelly's promising career was cut short by an early death on 1st January, 1990. He died in Paris, of bone marrow disease, a brain tumour and complications from AIDS. On 28th March, 1990, the Fashion Institute of Technology, in New York held a memorial to Patrick Kelly. They filled the windows of their 7th Avenue showrooms with his creations. 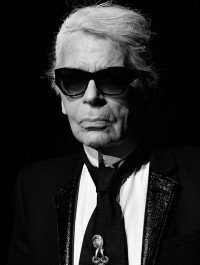 All his friends in the fashion industry, and the models who had worked with him, and the clientele who had worn his clothes, gathered together to remember him with great sadness. The first retrospective of the design work of Patrick Kelly is being held at the Brooklyn Museum of Art from April to September 2004. It is in celebration of the opening of the BMA's new front entrance pavilion and public plaza, a $ 63 million dollar project of the City of Brooklyn and supporters of the museum.